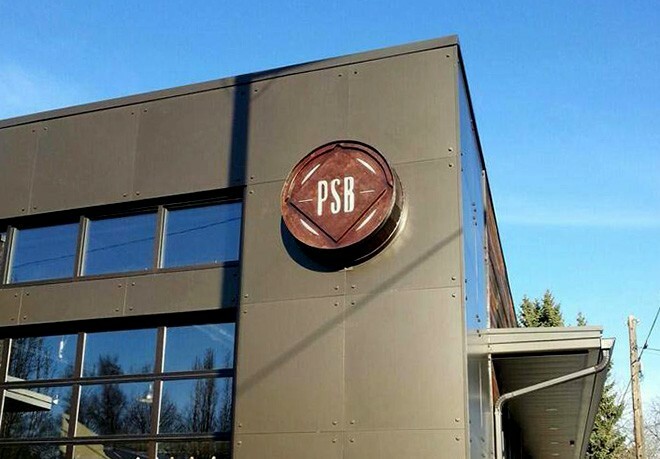 The much-anticipated Perry Street Brewing officially opens today at 1025 S. Perry. Here's our previous feature about the brewery, which is currently serving six beers: beir de gare, pilsner, IPA, single hop pale, milk stout and a winter warmer. It’s an impressive tap list, especially for a new brewery. The IPA is an excellent, fully hopped brew, and probably my favorite, but the milk stout is ridiculously tasty. And I'm not even a fan of stouts. Also, the interior of the place is bright and clean, especially with the garage-style door open to the patio. If you check it out, today is also the first South Perry market of the year, held inside the Bhuddio yoga studio from 3 to 6 pm. And in other signs of spring, Veraci Pizza’s first appearance this season is planned for tomorrow, March 14, at at the Hop Shop on the South Hill. The Melting Pot is celebrating its sixth anniversary on Saturday with Twilight Ciderworks. Nudo, the noodle shop next door to Fire Artisan Pizza downtown, announced it will open around April 10-15. Manners Roasting Co. now has a web store. Cannon Coffee & Cone in Browne’s Addition and the revived Big Dipper were both in the liquor license applications this week. The Inland Northwest Business Watch reports that the Flying Goat is opening a sister restaurant called Republic Pi in the space that was formerly Vintages/Villaggio. The restaurant’s Facebook page they reference no longer exists and may have been taken down, however, so it’s not clear exactly what the deal is — but what we’ve also heard so far suggests this is happening. Add another business the growing list planned for 19 W. Main: Caffe Affogato, a coffee and ice cream spot. Great news for local cideries: Washington lawmakers passed a bill allowing growler fills of hard cider, similar to beer. Oregon enacted a similar law last year — it’s all part of trying to figure out exactly how hard cider fits into existing alcohol regulations, since it’s categorized with wine but served and consumed more like craft beer. Also, we hear Liberty Ciderworks is very close to opening their downtown taproom. Did anyone score one of these super-limited-edition bottles of Maker's Mark commemorating the Seahawks victory with green and blue sealing wax? Read previous food news here. Slainte.